In mid-2017, dockless, (or stationless) bikesharing appeared on the streets of Sydney. The birth of dockless bikesharing, its evolution as well as its consequences, and use habits are studied with review of policies and field investigations. 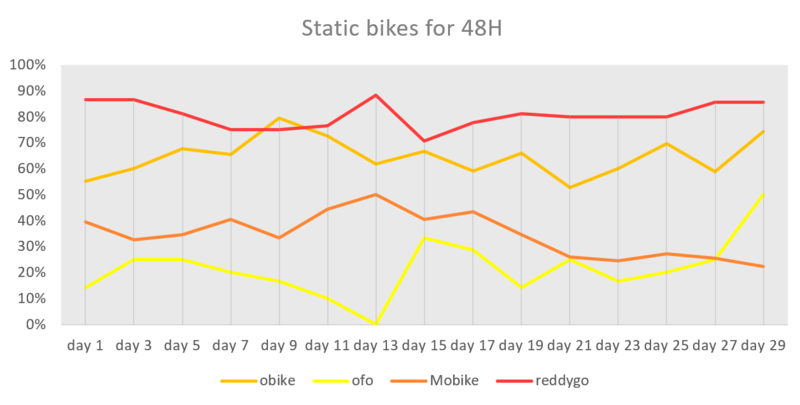 It is found that bicycle use in Sydney is less than hoped for, vandalism is high, regulations unfavourable, and thus, the conditions for successful bikesharing are not met. I was interviewed by Jonathan Hair last month for the ABC on The World Today. Does bike sharing have a future in Australia? My bit is at 2:20. It seems soon you’ll be hard pressed to find ‘dockless bicycles’ in some of Australia’s biggest cities. One bike sharing company has announcing it’s shutting up shop here, and the future of a number of others is in doubt. But one expert believes there’s a way for the companies to continue to operate here, by harvesting your travel data. Photo by Jesse Vermeulen, posted at Unsplash. In the beginning was the path. It was undifferentiated, shared by people and animals alike, and eventually wheeled vehicles pulled by humans and animals. While dating the First Path is impossible — the very first First Path must have been a path that was reused once, and slightly better than the unimproved space around it — it operated both in early settlements and on routes connecting nearby settlements. Today’s version of that is the sidewalk or footpath. It is now used for people walking, sometimes for people moving goods, and occasionally for people on scooters and bicycles. It should not be used for storing cars, though it is. New uses will include low speed delivery robots, as shown in the photo from Starship. When we see a raised crosswalk, we know the First Path is given the pre-eminance its venerable status warrants. When we see shared spaces, we know those harken back to the early undifferentiated path-spaces of earlier centuries. When we see pedestrian-only zones, we see a First Path that has grown up. The Second Path diverges from the first path with the emergence of the first street or roads with sidewalks (footpaths). Spiro Kostof (1992) dates it to about 2000 BCE in Anatolia. And it is clear many Roman and Greek cities separated sidewalks from streets, which the Romans called Semita. Post-Rome, sidewalks were rare, making appearances in London after the Great Fire, and in Paris after Haussman. But to be clear, today’s sidewalk is not the second path, it is the first. The second path is the road which is largely free of pedestrians, intended for the movement of vehicles. Originally these were animal powered vehicles, as well as human. Later fuel-powered machines took over the street and roads. 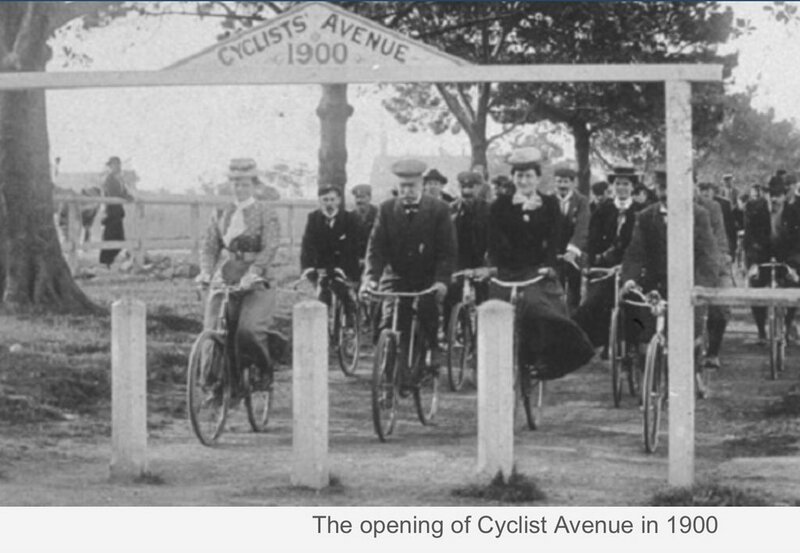 While bike lanes have now been around as a technology for well more than a century, throughout most of North America and Australia, bike lanes are not provisioned, so bicyclists have the Hobson’s Choice of driving in traffic with much heavier and much faster automobiles and trucks on the Second Path, the roadbed or illegally in many cases on the First Path, the sidewalk. With the advent of the smart phone, new modes are becoming feasible, most notably dockless shared bikes and scooters. Regulations in many places limit the use of bikes on footpaths. The reasons for this are clear from the pedestrian’s point of view, bikes are traveling up to 4 times faster than walkers, and collision can create injury. Dockless shared bikes emerged in Australia in 2017, after a few years on the road in China. Their main contribution has however not been transport (they are used about once every 3 days) but instead as a the recipient of complaint about sidewalk clutter (unlike say cars, which are always parked perfectly). As a consequences they have been targets of vandalism. The obvious solution will eventually get adopted, geofenced corrals for parking bikes (shared and private), taking away one parking space per block perhaps. Given the disparities of speeds on the first (5 km/h) and second paths (30-120 km/h), there is a clear market niche for an infrastructure network for vehicles faster than foot and slower than cars. Physically, one imagines it generally lying between the existing kerb and removing a lane now devoted to the storage or movement of cars. And for many if not most urban places globally, this has been recognized and networks of third paths have been, or will be, built out. This Third Path is important not just for bikes, but for electric bikes (which are becoming increasingly feasible with progress in battery technology) and electric scooters. A Fourth Path for buses (and other high occupancy vehicles) is also now considered. The first bus lane emerged in Chicago in 1940. The reason for bus lanes again is in part operational differences compared with existing road users. Buses start and stop in traffic much more frequently than cars. But a second reason is in fact the opposite, not because buses would block cars, but because cars would block buses. Buses carry more passengers than cars, and so should move faster, and can do so if they are not stuck in queues behind cars. The complete streets movement advocates for streets with sidewalks, bike paths, and are otherwise designed to promote safety and efficiency. The figure below is not exactly what they have in mind. This study assesses the estimated crashes per bicyclist and per vehicle as a function of bicyclist and vehicle traffic, and tests whether greater traffic reduces the per-car crash rate. We present a framework for comprehensive bicyclist risk assessment modeling, using estimated bicyclist flow per intersection, observed vehicle flow, and crash records. Using a two-part model of crashes, we reveal that both the annual average daily traffic and daily bicyclist traffic have a diminishing return to scale in crashes. This accentuates the positive role of safety in numbers. Increasing the number of vehicles and cyclists decelerates not only the probability of crashes, but the number of crashes as well. Measuring the elasticity of the variables, it is found that a 1% increase in the annual average daily motor vehicle traffic increases the probability of crashes by 0.14% and the number of crashes by 0.80%. However, a 1% increase in the average daily bicyclist traffic increases the probability of crashes by 0.09% and the number of crashes by 0.50%. The saturation point of the safety in numbers for bicyclists is notably less than for motor vehicles. Extracting the vertex point of the parabola functions examines that the number of crashes starts decreasing when daily vehicle and bicyclist traffic per intersection exceed 29,568 and 1,532, respectively. Congratulations to soon-to-be Dr. Jessica Schoner for successfully defending her dissertation: ‘Mutually Reinforcing Relationships Between Bicycling Infrastructure’ before a standing room only crowd at the University of Minnesota campus on 21 August 2017. Develop and execute a research plan to empirically model selected hypotheses within the theoretical framework. The empirical portion of the dissertation tests the hypotheses that (1) bicycling infrastructure supply induces bicycling demand, and (2) bicycling demand induces additional demand. The research uses a series of cross-sectional tests at multiple points in time as well as lagged variable models to add a layer of temporal precedence to our otherwise cross-sectional understanding of associations between bicycling and infrastructure. The findings show persistent associations between infrastructure and bicycling over time, across geographies, and at both the individual and aggregate level. The association between bicycling and additional bicycling holds over time at the individual household level and for bike share membership. However, the tests failed to find evidence of bike share stations and activity affecting general population cycling rates. This dissertation provides a roadmap for future research into feedback loops between bicycling and infrastructure. It additionally provides practitioners with guidance on both the strengths and limitations of both infrastructure provision and socially-focused bicycling initiatives. Like most bicycling research, this dissertation is limited by the quality of data available for both bicycling behavior and infrastructure supply. Neither the data nor the tests performed are rigorous enough to infer causality; instead, the findings add strength and nuance to the existing body of literature. Schoner, J, Lindsey, G., and Levinson, D. (2014) Factors Associated with the Gender Gap in Bicycling Over Time. Presented at Transportation Research Board Annual Meeting 2015. The final dissertation will be posted online soon. As every good dissertation should, it raises as many questions as it answers, and if you are looking for a topic, there are strong research opportunities available to test Hypotheses 2 and 4 on the effect of bicycling demand on infrastructure, and infrastructure momentum. There are also opportunities to examine the new stationless bike sharing systems that are emerging in China (and Australia, and elsewhere) regarding Hypothesis 3 and social diffusion. Nice Ride Minnesota Program Evaluation. [Twin Cities] [Bemidji]. Blue Cross/Blue Shield of Minnesota. Schoner, J. and D. Levinson (2013) Which Station? Access Trips and Bike Share Route Choice. Presented at Transportation Research Board Annual Meeting 2014. Given these challenges, experts including Hickman and Levinson believe segregation and AV-only roads are inevitable. But wouldn’t that risk a return to the urban dystopia of the 1960s and 70s, when planners crisscrossed cities with elevated highways and erected barriers around roads with the aim of improving safety? The unintended consequences were fast, aggressive driving, and the splitting in two of countless communities.